The best of Australian food is celebrated at the second national Good Food Guide Awards in Melbourne. There's plenty of sincerity and zero earnest hand-wringing here at this gutsy little Adelaide restaurant. Yes, much of the food is based on head chef Jock Zonfrillo's personal history and that of the Australian landscape. But it's the collective team narrative that makes this such a captivating place to be. That, and a menu that's as fun as it is delicious, spanning 20 or so small courses, starting with damper skewered on young eucalyptus branches brought to each table on smouldering coals, perfuming the spare, mid-century dining room with the comforting smell of the bush. Each dish is served with a story and a sense of place, navigating deep sea, low-lying scrub, unforgiving desert plains and outback marshlands. Sit still, breathe in. This one's a game changer. It was a bold pitch to build a $40-million sculpture park, winery and double-restaurant phenomenon overlooking Victoria's Western Port, then to lure chef Phil Wood, the most wanted man on the market after Neil Perry's Eleven Bridge closed last year, to head the kitchen. But the Gandel family does not bluff, and Point Leo Estate has emerged every bit as beautiful as dreamed. Surrender to restaurant manager Ainslie Lubbock's soothing service and a wine list as impressive as your surrounds. Stepping from the raucous main dining room into the taupe terrarium that is Laura, you'll see views of Jaume Plensa's eight-metre statue of a girl's head (the restaurant's namesake). Listen to the sound of whisks gently striking pans as Wood transforms the Mornington Peninsula's vines, land beasts and fish into modern classics. It's a trip. Take it. It's a restaurant that lives and breathes the seasons, fed directly by what's growing out the front of the restaurant, found in the foothills of the Otway Ranges. Chef Dan Hunter's cooking, though bound by the garden, is almost otherworldly. There's a single mouthful of cooling scallop, rich urchin and musky truffle. Or the earthiness of baked beetroot, the sweetness of local honey and brine of trout roe. Bonito cured overnight with kelp and mountain pepper is soft and warm with just the right balance of sweetness and savour. Dining in this sprawling, converted weatherboard house is all about deep, unhurried comfort from immaculate service, a roaring fire in the lounge, onsite accommodation complete with vinyl record collection and a pre-dessert stroll through the gardens, backlit by the setting sun. Citi Chef of the Year Peter Gilmore. Cue sound of a record breaking. This is the 17th consecutive year that Peter Gilmore has steered Quay to its coveted three-chef-hat status. In that time, he has introduced us to red speckled peas, tennouji turnips, hatsuka radishes, red orach, pea flowers, okra shoots and native violets. He's the crackling king, creating crisp deliciousness from maltose, sea cucumbers, and even the frill of an oyster. 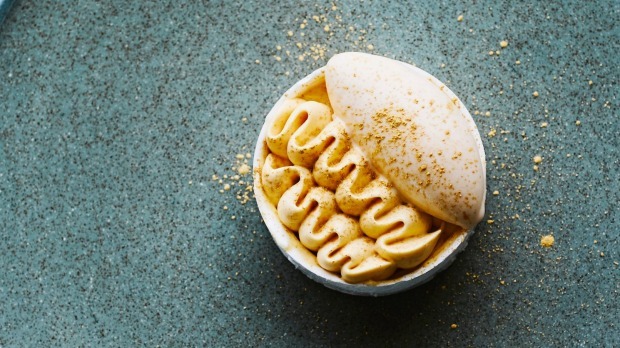 He has produced the most acclaimed dessert this country has ever seen, with the extraordinary Snow Egg. This year, he threw his entire menu out the window and started again, creating future classics for a new generation – Oyster Intervention, Hand-Harvested Seafood and the airy, fragile White Coral. 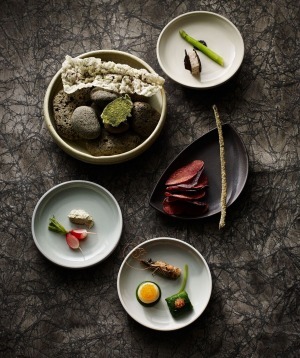 His cooking is luxurious, but still connects us back to earth and ocean, creating texture, harmony and surprise. 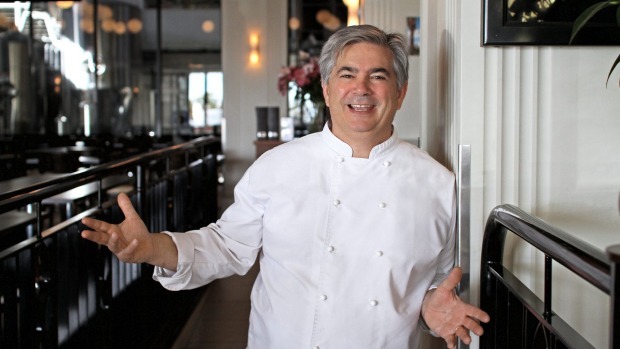 Long before "local and seasonal" became a restaurant mantra, Stefano de Pieri was serving Mildura's story on a plate at Stefano's Cantina. This from a man with no formal training as a chef who was born almost 16,000 kilometres away in Treviso, Italy. 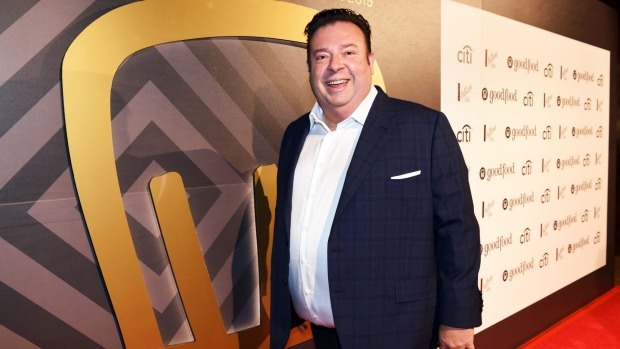 Since 1991, de Pieri has turned a hotel cellar in a remote Victorian town into a destination restaurant, accidentally becoming a celebrity chef along the way with his 1990s television series and cookbook A Gondola on the Murray. De Pieri has used the restaurant as a springboard, starting a cafe-bakery, a brewery, a wine label and the annual Mildura Writers Festival, all intended to help the desert city bloom. This while being a fierce champion of the Sunraysia region's food producers, its arts scene and the environment. Don't worry, citizens of planet Earth. The future is safe in the hands of chefs like Jodie Odrowaz. 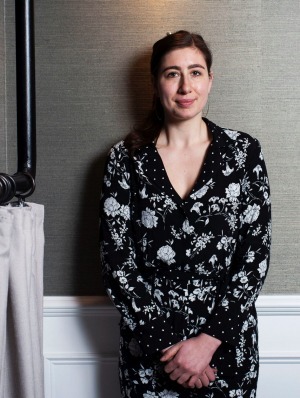 Before she stepped from front of house into the kitchens of Vue de Monde, she worked overseas in restaurants focused on reducing waste. Now she's landed back in Shannon Bennett's fish house Iki Jime, where sustainably sourced, humanely killed seafood rules. In her current role, she's been learning to trace fish from its source and dry-age it for fullest use. She even saves the restaurant's kelp, fire ash and coffee to make body scrub. In time she plans to be the change she wants to see in the world, operating as an all-preserving, carrot-championing connector between producers and the people. As someone who lists a Sharpie and knife as kitchen weapons, you know she's got the detailed determination to do it. She has been one of Momofuku Seiobo's few constants since its early days of pork buns and pet-nat at The Star. Those famous steamed baos have long gone, but the general manager's professionalism has maintained Momo's vitality through the Noma-via-New-York cooking of chef Ben Greeno to the flavour-driven haute Barbadian cuisine of current chef Paul Carmichael. With a resume listing fine-dining temple Tetsuya's and wine church Bentley Restaurant and Bar, Javier Ashton greets guests with warmth, extols Bordeaux and jumps behind the pass when needed to keep the open kitchen humming. Don't you dare think about stealing the bespoke cutlery, either. When Javier Ashton isn't ensuring that every diner is having the most delicious fun possible, the industry ambassador takes names in the amateur boxing ring. Can talk Left Bank. Will throw right hooks. Snacks at Regional Restaurant of the Year, Brae. Australians use 10 million plastic straws a day, which end up in our waterways as a threat to marine life, and ultimately break down into microplastics that enter the food chain. It's this staggering number that prompted outgoing City of Sydney Deputy Lord Mayor Jess Miller to create the #sydneydoesntsuck campaign, working with small bars across the city to reduce single-use plastic. As ever, little things grow, and major venues soon signed up to go straw-free (always keeping some to hand for those with disabilities), including Solotel venues across the Sydney Opera House and Opera Bar, the International Convention Centre, and the Museum of Contemporary Art. Combined with online resource, laststraw.com.au, which provides know-how and lists straw-free venues, #sydneydoesntsuck aims to put 2.3 million plastic straws out of business. Cheers to that. If you want a bourbon and Coke, move on. If you're keen on local whisky with small-batch cola, come on down to Maurice Terzini's Pub For The 21st Century where post-mix soda is out and Harvey Wallbangers are in. A middle finger to Coca-Cola is only the tip of the Icebergs legend's initiatives with chef Monty Koludrovic and wine director James Hird that have seen The Dolphin become a bellwether boozer for the local community. Australia's best chefs guest star at the Delfino Aperitivo afternoons (hey, it's up-and-coming talent Ben Shewry!) and a wine list bursts with new-wave producers and sustainable Italian deliciousness. Also: tins of Boags. At its core, The Dolphin is still an Aussie pub. A place to shoot the breeze and yell at the footy. All the better with a first-rate cotoletta and a few schooners, too. When it comes to his gift of the pour, this isn't the first time in lights for the ex-Coda and Tonka sommelier. But it's the first time with skin in the game. A refit of the Carlton Wine Room and installation of chef John Paul Twomey has given the Melbourne institution its mojo back, but it's the ever-approachable steerage by Howe through a 100-bottle list that's given the name over the door its weight again. Throw any brief at Howe and watch him nail it with Rain Man-like accuracy and a puzzle-lover's delight from a list that runs an all-embracing spectrum including flinty chablis, juicy Burgundy and grower Champagne. He's even coded his list with user-friendly graphics for those who prefer to self-navigate. Amen to having this professionalism freed from fine diners, on tap with your spaghetti on a Monday night. Everything about this tightly run Sydney offshoot nudges you to exhale and relax. Riverside views, sparkling glassware and convivial vibes make cracking open a magnum of champagne here all but irresistible, especially with a list as tight as this one. The wine list is a celebration of Italian and Italianish wines that can be taken as seriously as the purse strings will allow, in just about any format you'd care to throw at sommelier Alan Hunter. There's a strong selection of Coravin wines – a perfect way to try a glass of something from the deep and far-reaching wine list without breaking out a full bottle and a second mortgage – hello Radikon, Passopisciaro and Serragghia, old friends. All hail the Royal Mail's showstopping new dining room, giving uninterrupted hi-def views of Mounts Sturgeon and Abrupt. But as exciting – if not more so for oenophiles – is the new, tourable cellar housing the 28,000-bottle-strong collection. Owner Allan Myers has long held the southern hemisphere's largest privately owned collection of Burgundies and Bordeaux, which is backed by a just-as-heavy-hitting stable of heroes from the old world and old-school to progressive punks from Austria to the US. Going head-to-head with chef Robin Wickens' revamped degustation, driven by that impressive kitchen garden, you'll find 800 of those bottles displayed in three temperature-controlled cellars. The Good Food Guide's second annual national edition, with hats awarded across Australia, was launched on October 8 with our presenting partners Vittoria Coffee and Citi. 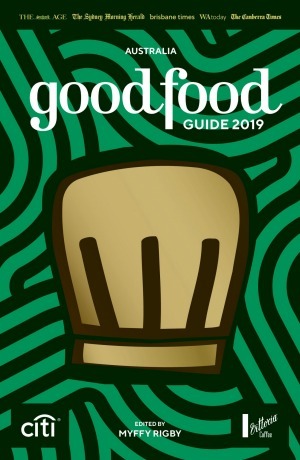 The Good Food Guide 2019 is on sale in newsagencies, bookstores and via thestore.com.au/gfg19 (delivery included), RRP $29.99.